When I was a kid (way back in the 80s) I used to record all my favorite songs off the radio and then use a dual-cassette deck to make mix tapes. I started DJ-ing small events back in 2002. 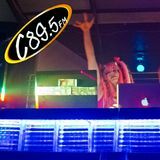 Generally speaking I just mix a selection of my favorite current tracks off of the stations&apos; Top 40 with some new releases, the occasional throwback, and some of my own mashups and remixes (http://soundcloud.com/djlightray & http://www.youtube.com/user/LightrayDJ/videos). I tend to favor electro/prog house remixes but I like a wide variety of styles. I currently DJ every Tuesday night on the main floor of Neighbours Nightclub, and 3rd Thursdays at the Mercury. I also DJ around town at various dance clubs in a guest DJ capacity. At this time I&apos;m actively looking for another regular weekly/monthly gig due to the closure of the club space I previously DJ&apos;d at.